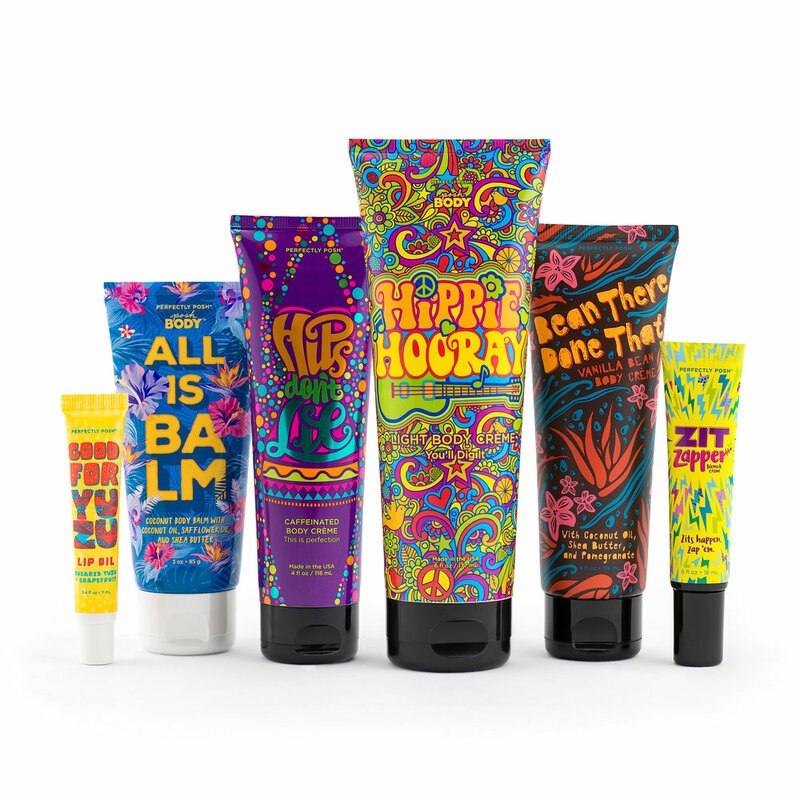 A few months ago, we sent some of our products to Graphic Design USA for consideration in their 2017 American Package Design Awards for Beauty and Personal Care. And out of our twelve entries, SIX were chosen as winners. According to GDUSA, of the 10,000 entries they received, only 15% receive certificates, and that winning multiple awards is pretty rare. We are in good company, too. 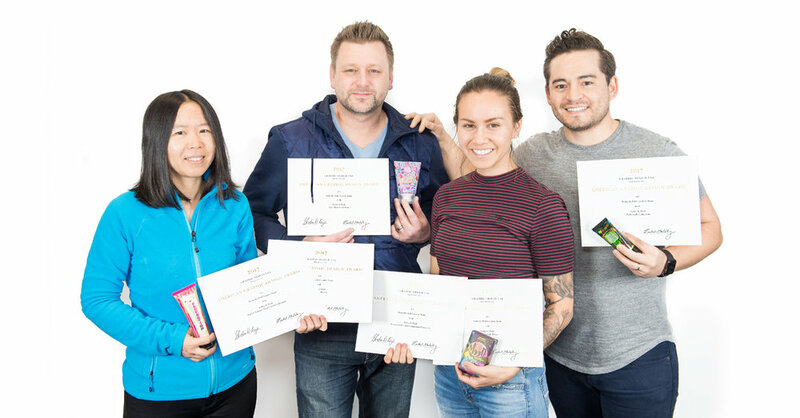 Other winners this year include design firms who created packaging for brands like Hugo Boss®, Pantene®, and Kleenex®, and some of the 2016 winners were Marc Jacobs® Beauty, Burt’s Bees®, Suave®, and Kat Von D® Beauty. Translation: our Creative Team is awesome. What were the award-winning designs, you ask? Check ‘em out below! Wondering how our Creative Team manages to design so many amazing packages (in addition to everything else, like the catalogs, ads, resources, etc.)? A lot of it boils down to having ridiculously talented designers, photographers, and videographers, of course. But it’s more than just talent alone that makes Creative so incredible. According to Senior Creative Director, Brad Muramoto, allowing team members to be themselves, find their own inspiration, and express their individuality is crucial for a successful Creative Team. “Trying to make everyone do their work in the exact same way just hinders the creative process,” he says. 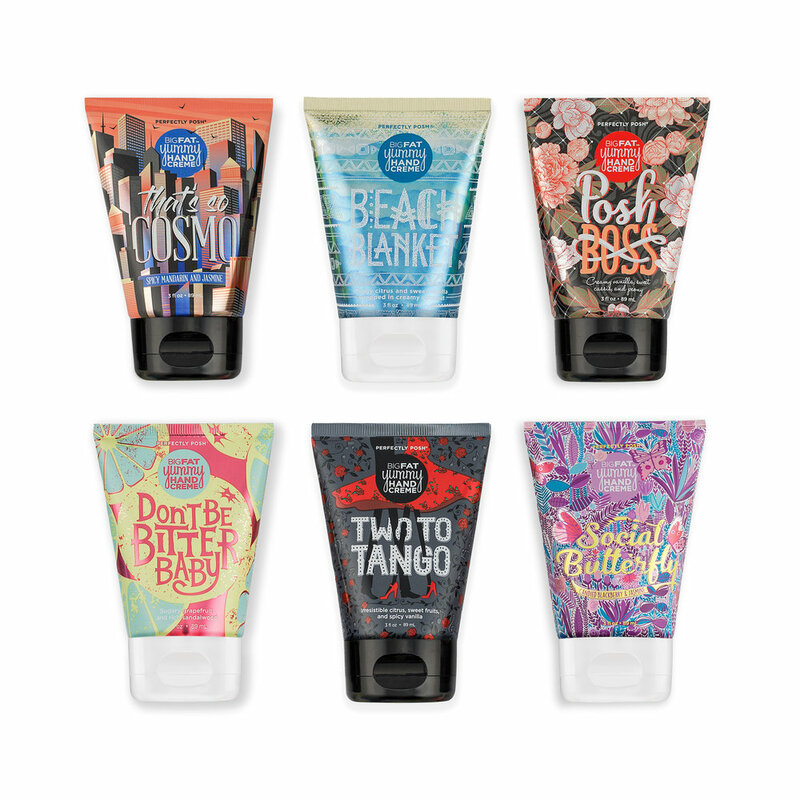 Perfectly Posh has many more products launching this year, and we can’t wait to show you more amazing packaging designs the Creative Team has produced. Look for new summer, fall, and winter collections, plus holiday and other exclusives—and that’s just for 2018!